Rockers want to be sports stars and athletes want to be rockers. 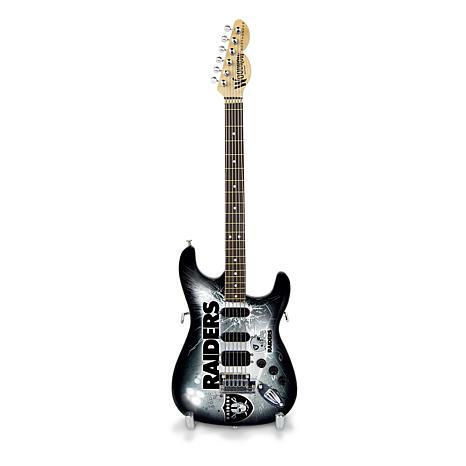 So this cool replica guitar is the perfect gift for the sports and music lover. 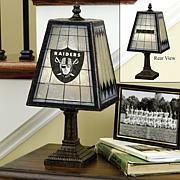 It's highlighted with bold, colorful graphics of your favorite team and makes a great decorative element for any desk, man cave or jam space. Replica guitar is for decorative purposes only. I was pleased very much when I received this. Nice case it came in. Well built nice design. Stand is nice to stand it up. 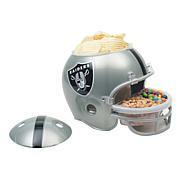 Great gift idea for your football fan. This guitar is the coolest thing, for any football fan. I also got lucky with this item, because my daugther-in-law actually plays the guitar. I can't wait to see her face when she opens up this mini for christmas. I'm sure it will hang on her wall, just like the 2 real deals already there. Bought this as a gift for a Pats fan and guitar player, it is so perfect. Husband just loves this. He plays guitar and loves football. Everything about this is so nice. The case, stand and guitar are very well made. Perfect detail. 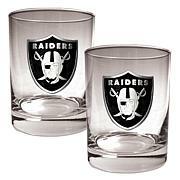 A must have for a sports fan or guitar player! 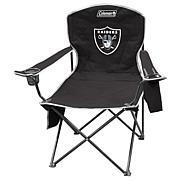 This Oakland Raiders vintage style polyester linen-textured house flag is weather and fade resistant. Can be displayed indoors or out. Fits on a house flag pole, not included. Packaged in a poly bag with header card.